"Silver Apples began in 1967 as a 5-piece band working at New York's Cafe Wha?, calling ourselves 'The Overland Stage Electric Band.' We had 3 guitars, Danny Taylor on drums and me as lead singer. Being that we worked 4 sets a night and only knew so many songs, we took a lot of extended guitar breaks, during which I had nothing to do. One night I plugged in an old oscillator that a friend had loaned me, and started swooping the room with electronic sounds. The band hated it, but I thought it was kind of cool. One by one the guitar players quit, and that left Danny and me! 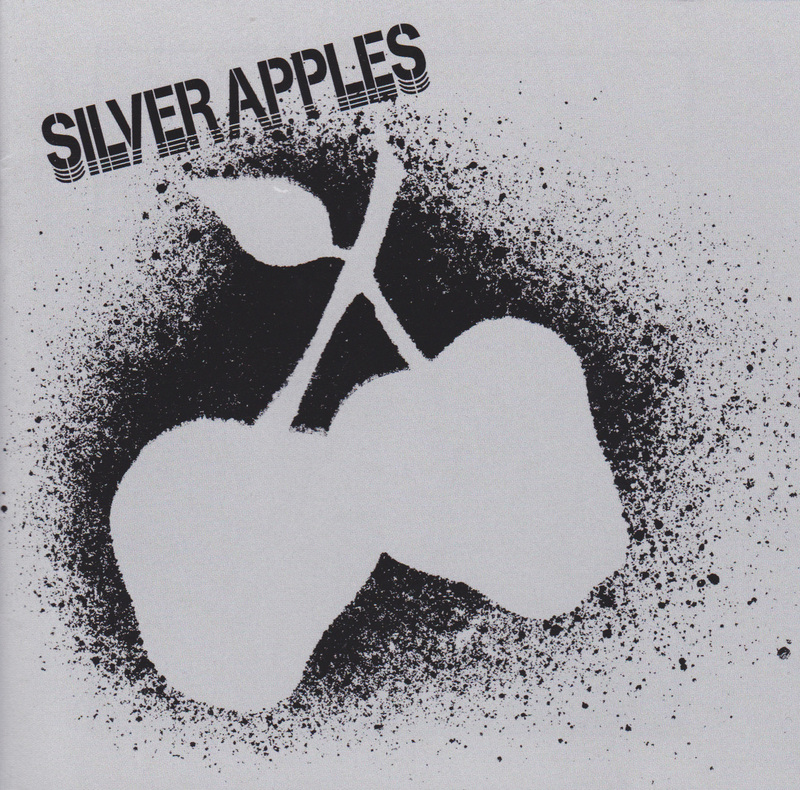 We decided to change our name to Silver Apples after a poem by W.B. Yeats that we liked, get more oscillators, and do all original material. Poet friends gave us poems. The first poem we set to music was 'Oscillations' by Stanley Waren. Every time we wrote another song, it seemed we needed more oscillators, until, by the 6th song or so, we had quite a cumbersome collection. People started calling it the 'simeon' machine, and the name stuck. It consisted of more than a dozen oscillators, 6 of them tuned to bass notes and wired through switches on a piece of plywood that I played with my feet. Our bass lines were always very simple and repetitive, because we only had six notes for any song. The rest of the oscillators (except one) were routed through telegraph keys and used to make rhythmic beeps and boops, and the 'lead' oscillator made all the swoops. So this was Silver Apples. I sang, played bass, beeps, boops and swoops, and Danny held it all together as best as he could with inventive drumming. The first job we got was in front of 30,000 people! Our manager had a friend who worked in the same office as this big promoter who was booking an all-day concert in Central Park's Sheeps Meadow. Even though nobody had ever heard of Silver Apples, he connived to get us on the bull with The Steve Miller Band, The Chambers Brothers, The Children of God, Sha-Na-Na, The Mothers of Invention, The Fugs, and others. I nearly peed in my pants when I saw the crowd. The promoter guy told us we could only play 5 or 6 songs, then '...get the hell off!' That was fine with us because we only knew 5 or 6 songs, so we played, and got the hell off and felt like we had managed to survive 'the big one.' Then, the next day, when the newspapers came out, we were all over them. They all talked about 'the unique sound of Silver Apples' and we were launched. On the strength of that one concert we were courted by several record labels but KAPP was the only one that actually propsed marriage so we signed. We recorded the entire first album on a 4 track deck provided by KAPP. We would lay down 3 tracks, then premix down to one, then lay down 2 more, premixing again, and so forth till we ran out of tracks, and that was the end of the song. Simple. With Contact, the second album, we had the luxury of a 24 track board at Universal City. We recorded most of the basic tracks there while on tour in LA, then finished it up at Apostolic Studios in New York. These were the sessions that produced 'A Pox on You,' 'You and I,' 'I Have Known Love' and others that we still do in concert today, along with new music. It is tremendously rewarding to me as an artist to have my past work recognized, not only through this re-release, but by the numerous tributes and covers that abound now worldwide. If I may be allowed to say so here, it is the new Silver Apples music that turns me on today." 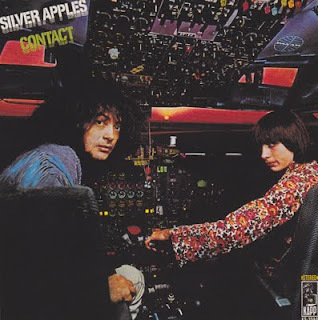 Ladies and gentlemen, for your listening pleasure, Silver Apples.